In a busy, noisy world, it’s difficult to make sure your important message is being heard above the crowd. And more importantly…being heard at its best! Amazing Voice has been providing businesses, large and small, with professional voice recording solutions for all of their needs. Your profile, your sales and your reputation can hit the high note with a professionally produced voice-over – an Amazing Voice up front and center speaking to your clients for you. Our Radio spots & TV commercials are mastered to CD quality and ready to captivate your audience. Our packages offer a complete buyout with no royalties to pay… ever! 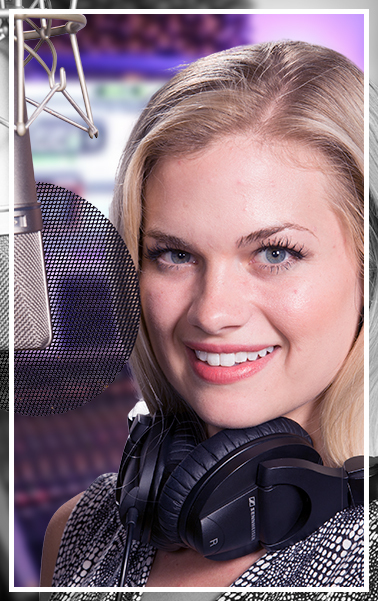 Your voice recording is licensed to be aired in whatever market you specify.